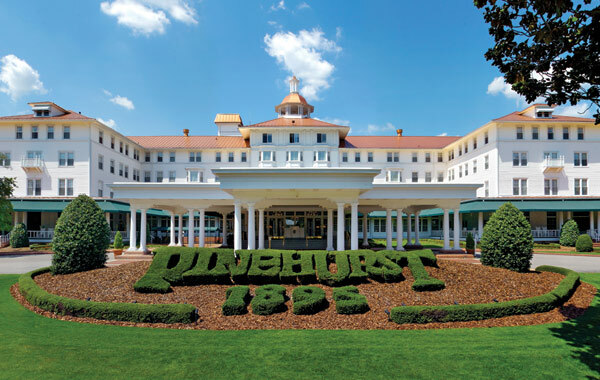 Founded in 1895 in the heart of the North Carolina Sandhills, Pinehurst Resort ® features nine world-class golf courses, an award-winning spa, three historic hotels, 40 condominiums, tennis and other recreational activities. 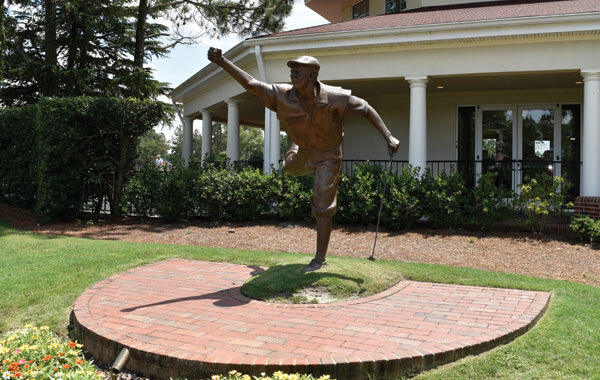 Widely known as the cradle of American golf, Pinehurst has served as host to more single golf championships that any other site in America, with events including the U.S. Open, PGA Championship, Ryder Cup Matches and many other national championships. In 2014, Pinehurst and No. 2 hosted unprecedented U.S. Open and U.S. Women’s Open Championships in back-to-back weeks. The Carolina (or the Carolina Hotel) opened in 1901 and was soon dubbed the “Queen of the South.” This signature hotel has 230 guest rooms including suites. The Carolina is on the National Register of Historic Places. The Holly (or the Holly Inn) was Pinehurst’s first hotel and is located in the heart of The Village. 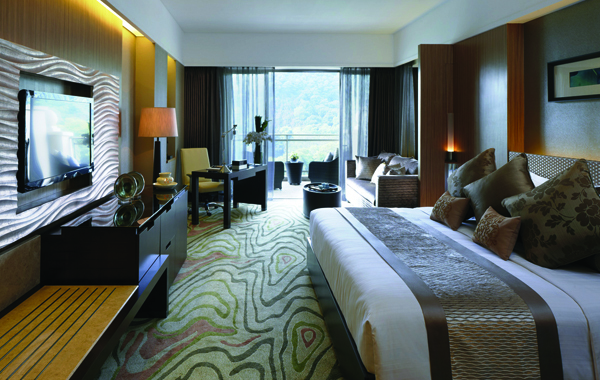 The Four Diamond Holly features 82 guest rooms and suites each as unique as the hotel itself. Every detail has been attended to. Decorating the walls and floors are a series of natural botanical prints and images, reminiscent of times gone by. You’ll see the fine touches in every nook, from the jewel-toned Tiffany lamps, to the reading selection in the library, and to the comfort of a rocking chair in your guest room. 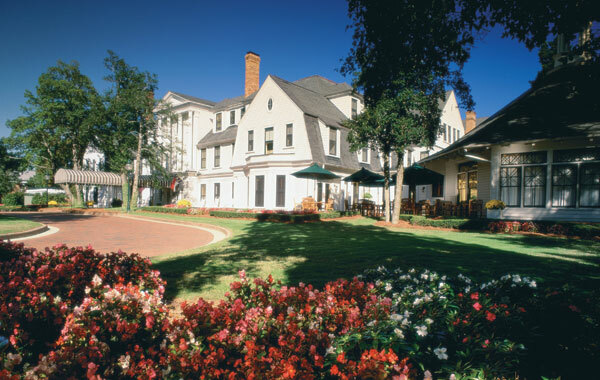 The Manor (or the Manor Inn) is located a short walk from the Carolina Hotel and is the most modest of Pinehurst’s 3 hotels. Built in 1923, the Manor features 42 guest rooms including suites and adjoining rooms. 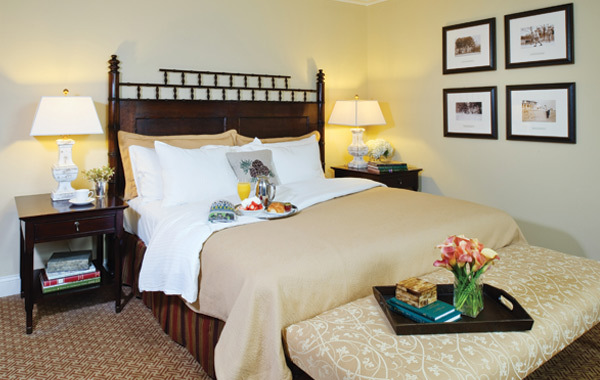 The Carolina Villas are located adjacent to the Carolina Hotel and feature 4 separately-keyed bedrooms each with 2 queen beds, connecting to a central living area and kitchen. First floor Villas feature a private patio. Second floor Villas feature a private porch. The Villas are ideal for golf groups. 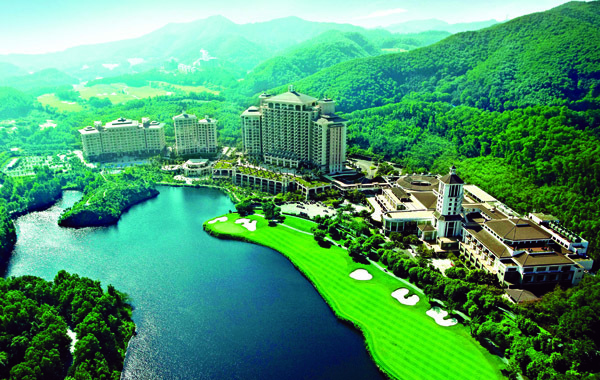 The Condominiums feature either golf course or lake views and are located a short shuttle ride from The Village and other resort amenities. Two and three-bedroom condominiums each feature a full kitchen and spacious living area. 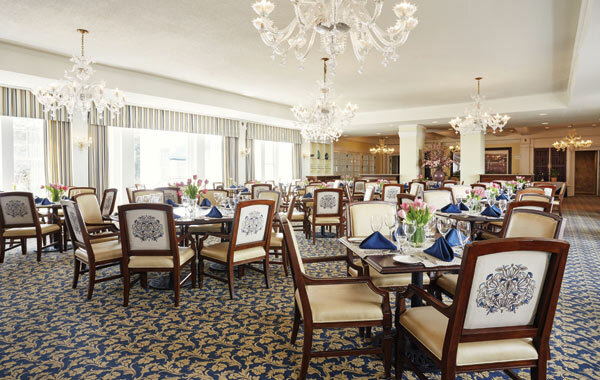 Carolina Dining Room (CDR) – Step back in time in our most expansive dining room, offering breakfast and dinner. Executive Chef Thierry Debailleul’s amazing menu features hand-selected aged beef and signature dry seasoning rub for our steaks and chops. Menus change seasonally, invoking the fresh flavors of the area. The Deuce Situated on the veranda overlooking the historic 18th hole of Pinehurst No. 2, The Deuce features made-from-scratch cuisine in a relaxed setting. Featuring an open-air bar, our newest restaurant and bar offers the best view of the famed course’s historic finishing hole where the game’s greatest players have prevailed. Adorned with vintage photographs and other memorabilia illustrating the storied history of No. 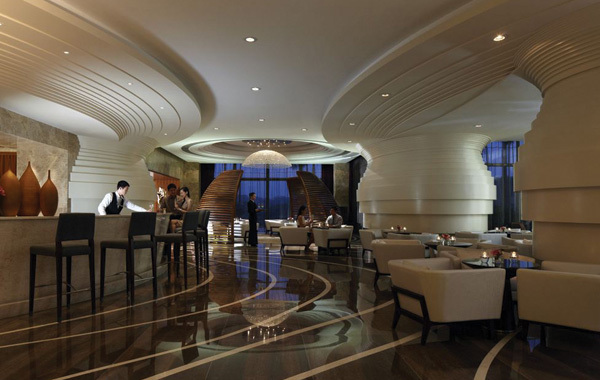 2, The Deuce serves lunch as well as an array of appetizers through dusk. The bar features a variety of creative cocktails and nearly a dozen craft beers on draft, including North Carolina microbrews. 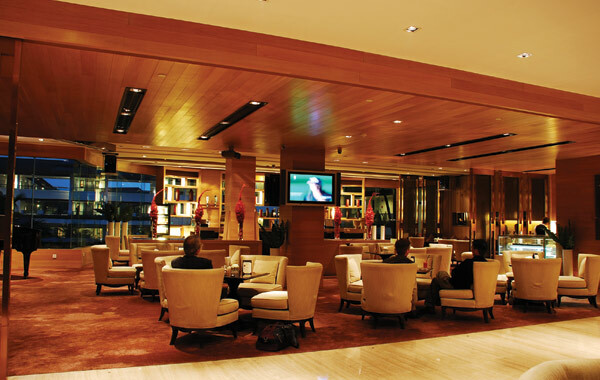 The Ryder Cup Lounge – Named for the 1951 Ryder Cup held at Pinehurst, this casual restaurant and bar surrounds you with history. Located in the Carolina Hotel, The Ryder Cup’s unique menu includes classic American fare with a twist. The 1895 Grille – The 1895 Grille at the historic Holly is a Four-Star dining experience in every way. Serving breakfast and dinner, this intimate fine dining room features an exceptional menu straight from Carolina Farms to our tables. 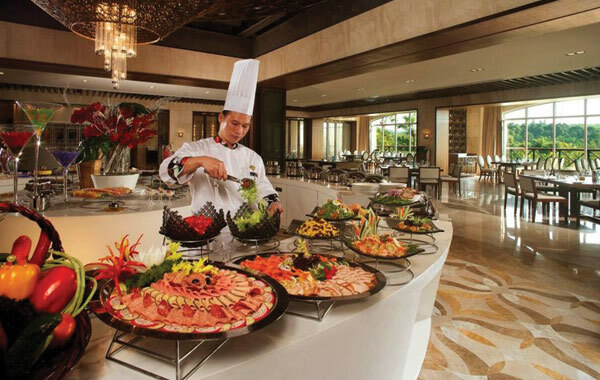 Our award-winning chefs also prepare nightly specials making each visit unique. Don’t forget to order the triple chocolate soufflé to cap off your perfect meal. The Tavern – An antique bar brought over the pond from Scotland is the centerpiece of The Tavern, a cozy spot for lunch and dinner. 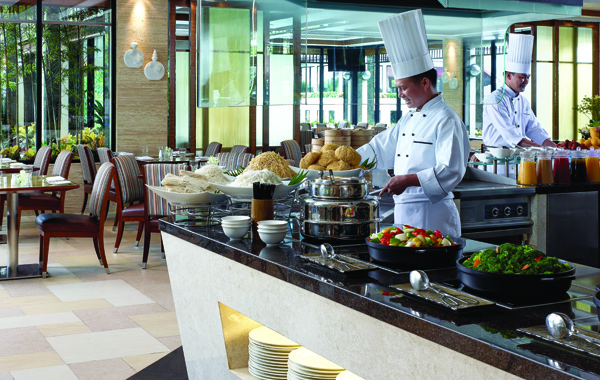 The menu features a variety of unique sandwiches, salads and soups for lunch and a more hearty menu of pasta, beef and other entrees in the evening. You don’t want to miss the complimentary homemade chips. Outdoor patio seating overlooking The Villagecenter is seasonably available. 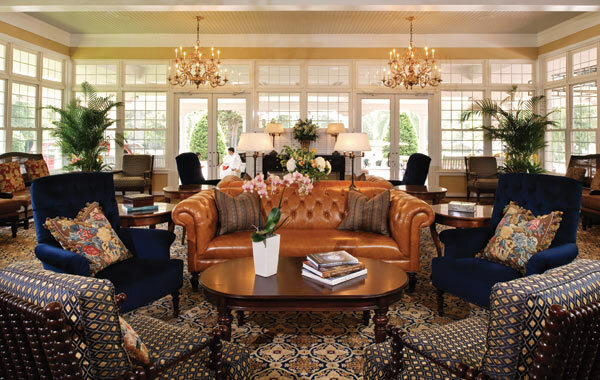 Pinehurst offers any array of relaxing amenities beyond the golf course. The Spa at Pinehurst – The AAA Four Diamond Spa at Pinehurst is a sanctuary of tranquility with classically inspired architecture and a menu of more than 50 relaxing treatments. 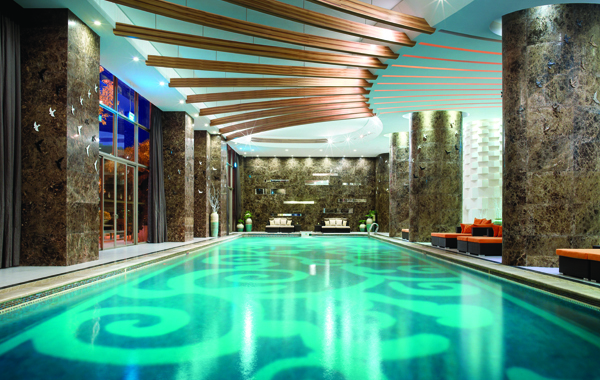 Experience the highly results-oriented Pinehurst Facial or the ultra-luxe Thermo-Marine Mud Body Treatment. 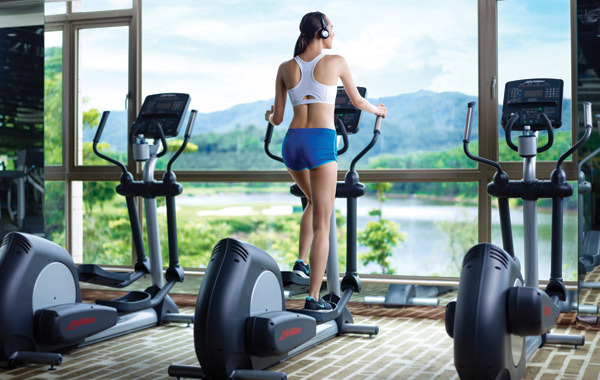 The Spa also features a fitness center and full- service salon. Tennis – Pinehurst features 18 clay courts and a staff of USPTA certified professional instructors ready to teach and play. Resort guests enjoy access to all tennis amenities including ball machine, equipment and court rentals. Croquet & Lawn Bowls – The classic games of croquet and lawn bowling are alive and vibrant activities at Pinehurst. Two croquet courts and one lawn bowling green are open to resort guests for this fun, competitive but low- key activity. Lessons and equipment are available for individuals or groups. You can play with Pinehurst Country Club Members or arrange for your own court time. 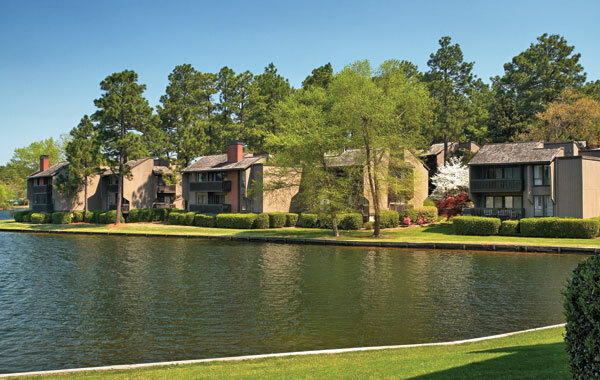 Lake Pinehurst – Pinehurst features a 200-acre private lake where guests can swim, fish, boat or just relax on the beach. Kayaks, paddleboards and pontoon boats are available to rent for a day on the water. Rods and tackle are also available so you can catch everything from largemouth bass to catfish. Free resort shuttle service is available to the Lake from any resort hotel. Village of Pinehurst – The charming Village of Pinehurst features boutique shops and pubs meant to be explored. Take a guided walking tour of historic homes, visit the Tufts Archives, which showcases the history of Pinehurst, or take a romantic carriage ride through the winding Village streets. 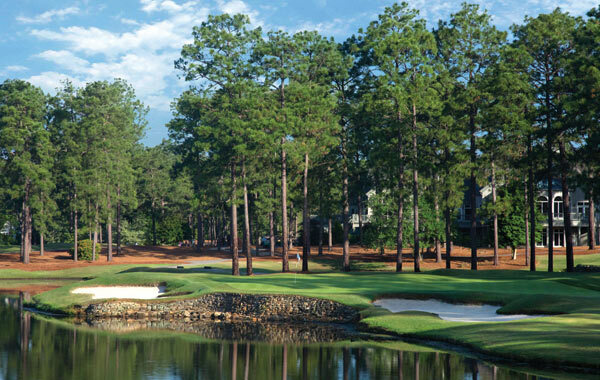 Experience Pinehurst No.8 Course with Golf Tours Abroad. Designed by Tom Fazio in 1996, it’s spread over 420 scenic acres of rolling terrain & natural wetlands. Pinehurst No. 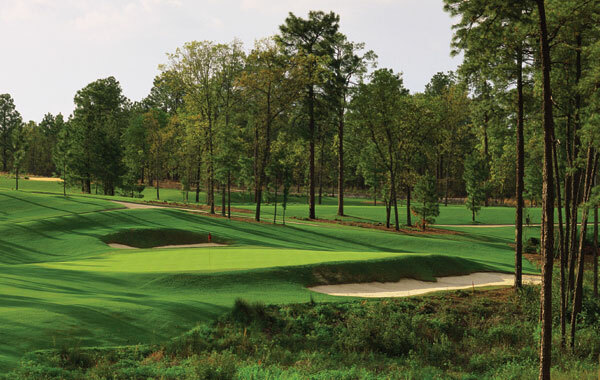 8 also known as the Centennial Course, was designed in 1996 by Tom Fazio in celebration of Pinehurst’s 100th birthday. Fazio took full advantage of the 420 acres of rolling terrain and natural wetlands to fashion a course that’s visually enthralling, challenging and yet fun to play. Some feel that Pinehurst No. 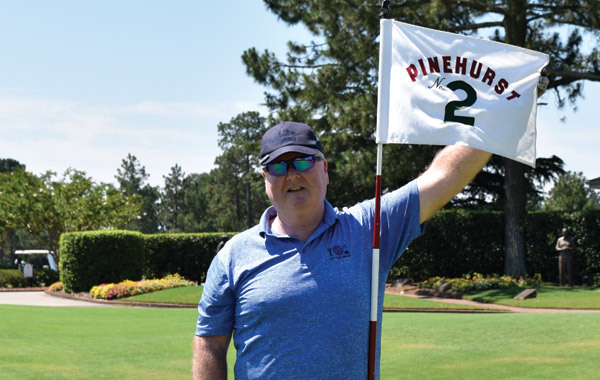 8 synthesizes all the elements of the Pinehurst ® golf experience into one layout better than any of the other courses, and many mid and higher-handicappers find it the most enjoyable and scenic track to play.